They offer custom renderings and designs from true professionals so you get a finished product that you're completely satisfied with. You also work one-on-one with account executives instead of commissioned sales reps, so instead of having someone focused on the sales amount, you get someone who cares about what you want, not what they want to sell you. 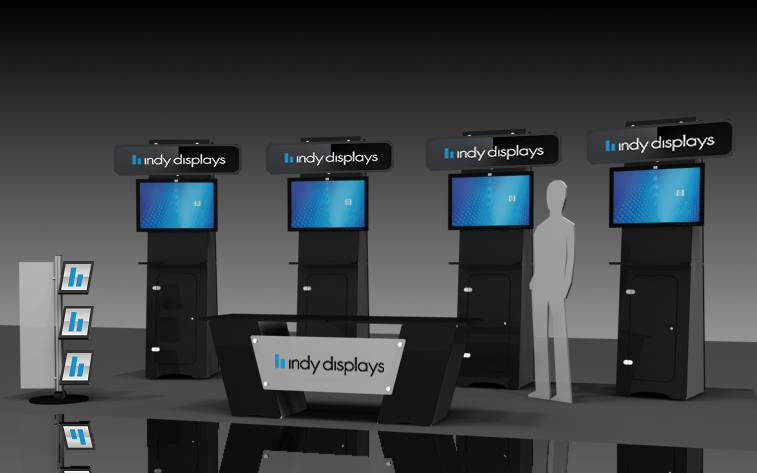 In the competitive world of trade shows, you need to have an edge and Indy Displays not only gives you that edge but you get top customer service and attention to detail so you can display your product the best way possible.